Dad may have had it right all along. His favorite among all big game hunting rifles was the Model 99 Savage. With two rifles on the dark oak countertop he asked with measured concern, "Are you sure you don't want the Savage?". The crowded rifle rack was lined with new lever action Savage 99's. Esman's Sporting Goods was on the main street of a tough steel mill town. A light drizzle dampened the industrial grime of Turtle Creek, Pennsylvania, on that 1957 coming-of-age Saturday morning. The choice to be made at this gun counter also meant a place at the breakfast table for Pine Camp deer season opening day. He asked a second time, "Are you really sure you don't want the Savage?". His restrained disappointment was obvious when I chose a new Winchester Model 88. Toward the end of the 1957 hunting season Dad got a nice buck with the new Winchester we took home that day from Esman’s Sporting Goods. He later carried it in a saddle scabbard on Colorado and Montana elk hunts. That rifle, too, holds many memories. Sometime in early 1923 a Savage 99 was boxed and shipped to rural Pennsylvania from Utica, New York. In the box was a high quality new "G" version of the Model 99. This Savage was a unique takedown model with hand checkering and a hand rubbed varnish finish. The rifle was chambered 300 Savage and had been recently introduced to rival the 30-06 as a powerful big game cartridge. The list price was fifty-one dollars. Earl Weeter selected this special rifle to hunt big whitetail bucks in the laurel thickets and white pine ridges of the Pennsylvania mountains. We have old photos from the 1920's of Earl with his Savage 99 rifle. His original 1923 Utica factory box is a treasured possession on display in our ranch home. The venerable old Savage went with us on another Wyoming wilderness packtrip this summer. 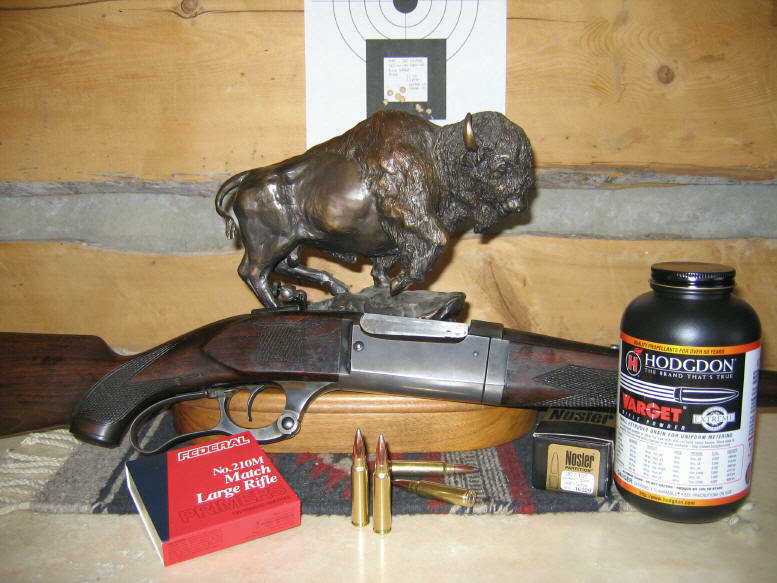 This afternoon the rifle hangs in a saddle scabbard over the front door with five cartridges in the rotary magazine. I have been working up a new handload using premium Nosler Partition bullets. Noslers are constructed to be tougher when stalking big bull elk or, heaven forbid, a grizzly on the rampage encounter. The attached target image revels two 300 Savage groups fired in sequence by Georgia and, then, me from our shooting benchrest. One group was shot by each of us while testing accuracy for a 300 Savage handload that we have since settled on. No scope. There is a Redfield adjustable receiver sight behind a post front sight. Old school. Some might suggest that this cartridge may not be adequate for hunting big game these days. We're willing to bet otherwise. Do you suspect that Cliff and Earl Weeter might agree? There are close to a dozen knife carved notches inside the old takedown Savage walnut forearm. Cliff and Earl Weeter may have had it right all along.